Award categories include best bike brand, best product, best retailer and best cycling advocate. Nominations opened last week for London Cycling Campaign’s London Cycling Awards. The awards are being sponsored by the Evening Standard newspaper, Brompton Bicycles and others. The 2013 awards include more recognition for the cycling industry through the Best Bike Brand, Best Retailer and Best Product awards. 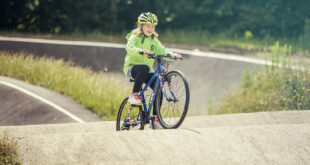 The awards are a "celebration of cycling in the capital, showcasing ground-breaking new cycling initiatives, recognising the coolest cycling brands, and highlighting the best community and youth cycling project," said a statement from LCC. 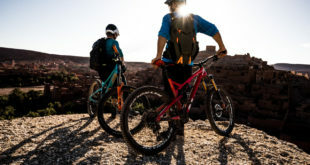 Best Bike Brand – the brand that has done the most to popularise cycling in London. Best Cycling Champion – recognising outstanding efforts to champion cycling. (Sponsored by Madison). Best Product – the best cycling product, clothing or accessory. Best Borough Cycling Project – celebrating a London borough cycling program that has really delivered. Best Community Cycling Project – the project, which has most successfully inspired communities to take up cycling. Best London Cycling Initiative – the project that has most enhanced the experience of cycling in the city. (Sponsored by Brompton). Best Workplace Initiative – recognising a business or organisation that has worked with employees to promote cycling or improve conditions for cyclists. For the first time, five awards will be voted for by the public, with five others presented by a panel of experts. 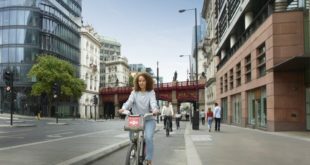 LCC chief executive Ashok Sinha said: "We’re calling on Londoners to nominate their favourite retailers, products, projects and initiatives, to celebrate the champions of cycling in the capital. There’s never been so much excitement around cycling in our great city, and these promise to be the best London Cycling Awards ever." Online nominations for all 10 awards run until 16 April, with public voting in five award categories from 19 April to 1 May. Winners will be announced by TV presenter Ned Boulting at a ceremony at St Martin-in-the-Fields, Trafalgar Square, on 8th May. Next Is the billion pound Boris bike plan for London all hot air?